CEOCFO: Ms. Schwabe, would you tell us the concept behind MindLight? Ms. Schwabe: MindLight, LLC created an answer to a problem that we had, personally, as caregivers. Myself and the other co-founders of the company all had complex caregiving situations and we could not find the resources, tools or support that we needed to be able to help us manage our everyday tasks in addition to all the extra things that we now had to do. CEOCFO: What kind of things were you looking for? Ms. Schwabe: That was the biggest struggle of all, when we were looking for resources I was looking for help for a mom with a child newly diagnosed with autism and whose mother had multiple chronic conditions. When you search that on the internet, it comes up with nothing. The other founders had ageing parents and they were searching as the sons with ageing mothers, how do I get help. It turns out the words, caregiver or family caregiver, would have given us a lot more information, but we did not identify ourselves that way to know to use those words. That was our biggest struggle, not knowing what the business world called the family members that were struggling. Once we figured that out, it helped a lot. I was looking for any kind of help, any support and anyone to help me do a load of laundry or a tip on how to get feces off of the wall when it happens six times a day or how to deal with your kid banging their head into the wall. There were very few resources that were out there that you could easily search for because we were called something that we did not know we were called. CEOCFO: What did you do? Ms. Schwabe: I had two options, I could continue to search and find nothing, or I could solve my own problems. I elected to take action and we created a software application under the company name MindLight, LLC, which helps family members organize the tasks that they have to perform for their care recipient. It also allows them to invite other people into a secure private location and ask for help on everyday things because that was actually one of the biggest problems, someone would offer us help but we did not know what to ask them to help us with because there was so much going on. We made a solution. CEOCFO: Is it the Iriis app? Ms. Schwabe: Yes, it is Iriis, named after one of the founding member of MindLight, LLC, who takes care of her husband who has Alzheimer�s. CEOCFO: How do people find your app, given that you could not find anything? the words, �need help�. We put that in the search term. If you�re a mom that needs help or dad or daughter, we can still find you. What we are trying to do is make sure no one goes through what we went through and help them get what they need faster. CEOCFO: Are there links from perhaps an autism or Alzheimer�s organization that might lead you in the right direction? Ms. Schwabe: There are. I did try, and I am the person that people go to when they want to research a problem. I was surprised that I could not find what I was looking for. Many times, with the Alzheimer�s as well as autism, there are a lot of resources out there, but the resources are for the person that have the diagnosis, not for the person doing all the extra work to support them. You will find social story apps for autistic kids and you will find how to get a routine started for your child with pictures and cartoons, what you do not find is how I, as a mom, can add in all those extra things I have to do too in addition to all the stuff I am already doing. As a parent we feel obligated to do everything for our children, because we are the parent. But at some point, we changed from being a parent to not just being a parent but also into being a caregiver. When your world changes and do not even know it, it is hard to ask for help and it is certainly hard to find it. We had to look for it differently. CEOCFO: What might users of your app find that they have no idea exists? Ms. Schwabe: Our app has three major features. The first is to create a team of people and I know many reputable sources recommend creating a team. It creates a team of informal helpers that are going to be participating in your life. That invitation can be done in our app through text, email, or in app invitations. Once you have a team established, you can add or subtract from it as you need to, then you can create a shared to-do list. The thing that is different about what ours does is it allows you to assign tasks to anyone in the team, but it makes unassigned tasks visible for anyone on the team. If I have fifty things to do in a day and I can only get to thirty-eight, the other twelve are there and they have a big hand raised up. That allows people to help without even having to ask. CEOCFO: How do you establish a group? Ms. Schwabe: The last feature the app has is the ability to share files within that care group. Therefore, if you go to the doctor you can take a picture of your visit summary without having to type it out, and just have one document. Who is on our team? Everyone is on your team, everyone that you trust is on your team and invite as many people that are willing. My best example is everyone is a caregiver, and everyone can help. I have a four-year-old who is one of the biggest helpers you ever saw because he will just spend time with my 6-year-old making sure she is not doing something that can get her hurt or something that is destructive, while allowing me to get to other tasks that I need to do. Help for me is anything that I do not have to do versus just go help me do this caring task. I do not want help caring for my child, I want help with all the other things I have to do that prevent me from caring for my child. CEOCFO: What types of resources can you point people to that are not easily found? Ms. Schwabe: As far as not easily found, I do not know that I would say. We are a resource for the unfound things. Most of what we do is provide the app. We do help people learn how to find resources using the words that businesses are using versus the words that we use. It is teaching someone to fish instead of giving them a fish. CEOCFO: What is the business model? Ms. Schwabe: The application itself is a subscription-based product. There is a free application that has all the functionality of the others but does not have as much storage or as many helpers that you can invite. The second one is a monthly subscription and that subscription allows you to have more storage and more people on your team. The third has the most storage and available helpers. We also have a resources section so every time we get a new resource we load it on the website so that everyone can get access to it right away. A part of your subscription; you get emails that drip out over time with videos that teach you to use the app most effectively in less than one-minute increments. We send you worksheets on how to create a personal health records that is customized to you because your situation in unique. We are continually providing more information as part of that subscription. We have a blog that has lots of information on there. We provide recommendations for products that you would not think to use in a certain way but could. CEOCFO: Would you give us an example of something that could be used that may not be thought of? Ms. Schwabe: My favorite example is this wonderful alarm clock called Reminder Rosie Talking Alarm Clock, which is targeted towards patients with dementia to help them remember to wake up, take their medicine or whatever you want someone to do on a routine basis. People with dementia get a little confused by an alarm or it scares them or causes them to be agitated. This wonderful product actually allows a caregiver to record up to 25 personal messages that go off at specific times. It could say good morning kiddo, it is time to get up. This is an amazing product for anybody that has a child with autism. My daughter hates the alarm sound, it scares her, and she gets upset and scared and all kinds of bad things happen but if you get off routine with her then things get messy. This clock allows me to essentially be where I cannot be and at 7:00 am in the morning it says good morning honey, this is mommy, it is time to go to the bathroom. But no, this clock is not in any way marketed toward someone with autism. It is fine that it is not marketed towards autism, but it is a beautiful product so those are the types of things that you can find that are super targeted to another population, but they apply to your situation as well. CEOCFO: Do you find that because you are working with people that are not all in an autism or an Alzheimer�s environment, that you are able to find more synergies that are not specifically targeted? Ms. Schwabe: I think everyone in the world is a caregiver, and because everyone is a caregiver, everyone can benefit from the different resources that are provided even if you are not in a caregiver situation. If you are a parent you are not simply a parent, if you are a wife you are not simply a wife, you still need help managing who is going to get the kids from school, you still need help figuring out whether your husband is going to pick up the dry-cleaning. The app does have a larger applicability, but if we make it that broad, people seem to erase a bit of the value for it. What we have been doing is, as we get questions or as we get specific things related to the parents, then we address them to parents and then add the information. CEOCFO: When did you launch the app? Ms. Schwabe: In November of last year we launched and updated it again in January. We have another one scheduled for March. We have been working on it for about a year and doing market research all along. We talked to 185 caregivers and 185 care receivers and then three or four dozen in-person interviews and 200 beta testers to make sure that it was not just my solution, but a solution for all caregivers. CEOCFO: What surprised you through the development process? 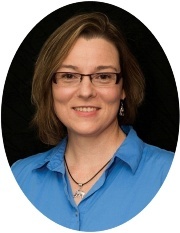 Ms. Schwabe: Unfortunately, and fortunately, I was surprised to learn that there were quite a few other very similar solutions in the marketplace that already existed. When I was searching at the start of the project, I didn�t find any. As I learned more about the industry, I was surprised when I started finding solutions. I think that competition is good though, it means it is a problem and we can help solve it in some ways better and in some ways not as well as they do. It is obviously a need, so if I am able to help other family members not go through what I have gone through, then it turned out to be a good thing. The biggest surprise was, I am not as smart as I thought I was! A lot of other smart people already thought of this! You live, and you learn, and you adapt. 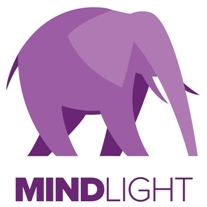 CEOCFO: Are you seeking funding, investment or partnerships for Mindlight? Ms. Schwabe: Everyone is always looking for partnerships. One of our next big initiatives that we expect to be launching will probably be funded with crowd-funding, but we are always willing to consider partnerships, investments, and other funding sources. That project is care recipient centered. When I said the difference between us and everyone else was that we were focused on the family caregiver and the other people are focused on the receiver of care, it does not mean the receiver doesn�t still need a voice. If we want to enable and empower them to have a part in their own care, then we need to be able to enable them and empower them to do that. The ability to add a recipient component to the app is probably one of the next largest features that we would like to add but we are beginning to look at additional funding after this first quarter because we want to do the right things now before we move forward.